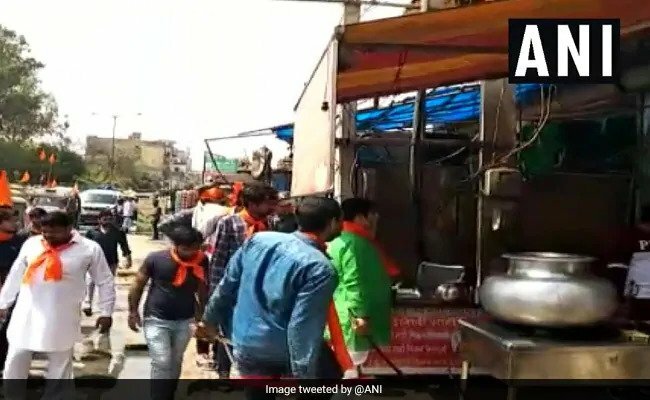 Members of a right-wing Hindu outfit on Saturday claimed to have shut over 250 meat shops and chicken outlets here on the first day of Navratri festival. He said they visited sectors 4,5,7,9, 10, 21, 22, Palam Vihar, Badshahpur, Om Vihar, Surat Nagar, Sadar Bazar, Anaj Mandi Dhanwapur, Dundahera, Molaheda, Sikandarpur, and many other places. Around 50 percent of shops were already closed fearing clashes, as meat shops were shut during every Navratri since the Bharatiya Janata Party (BJP) came to power in the Centre and in Haryana, he added. "The Hindu organizations will continue with their efforts throughout Navratri. The next target is New Gurugram, where there are a large number of meat shops. During the festival, the majority of Hindus observe fast and functioning of meat shops could hurt their religious sentiments," said Gautam Saini, President of Shiv Sena's Gurugram unit. Name of Perpetrator Rakesh Banjara and other Hindu Sena workers, and Gautam Saini President of Shiv Sena's Gurugram unit.